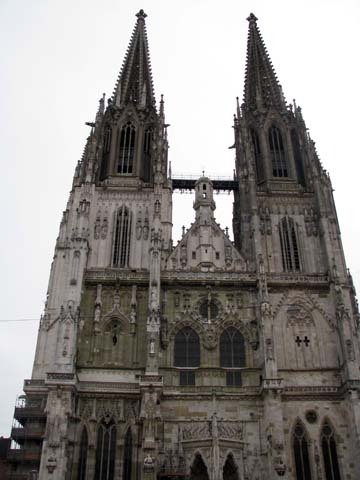 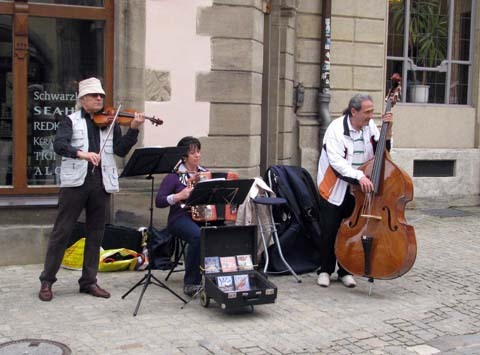 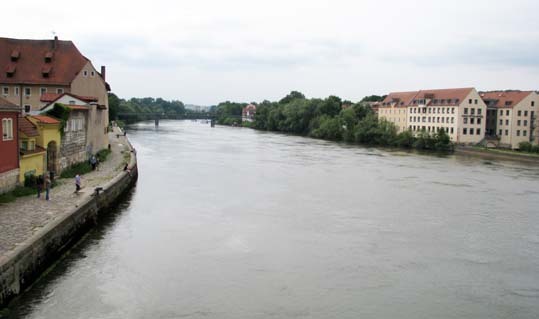 In June 2010, I went on a work trip to Regensburg in Germany and here are some of the photos. 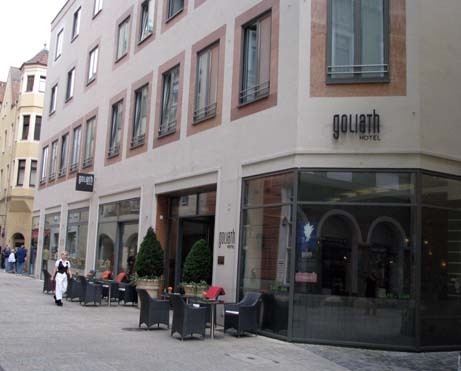 This is the Goliath hotel where I stayed. 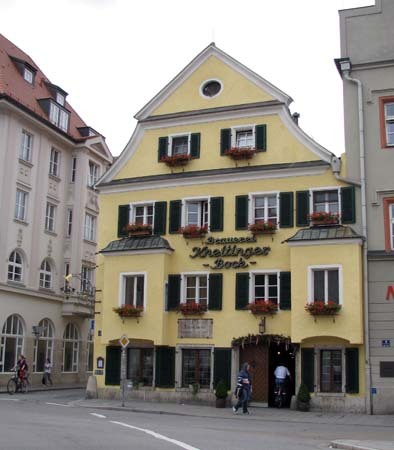 The name of the hotel is not pronounced as you would expect in English but like this - goll-ee-ath. 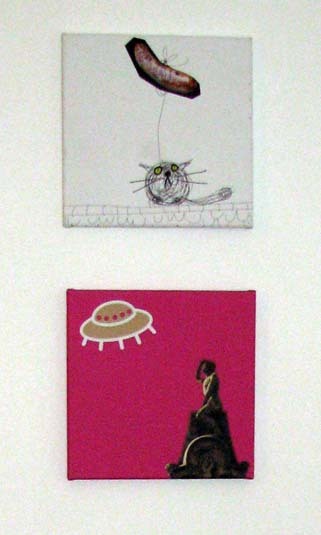 They had some nice pictures on the wall. 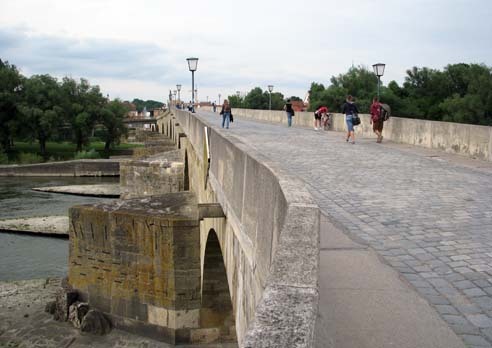 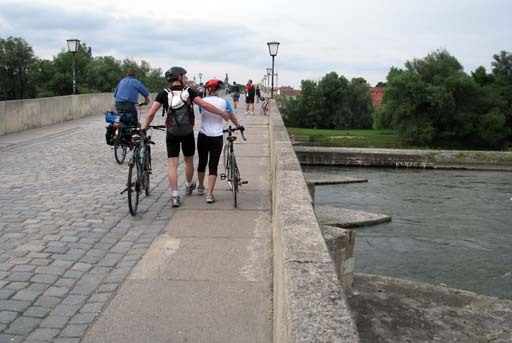 Regensburg is famous for its stone bridge, built in the 12th century. 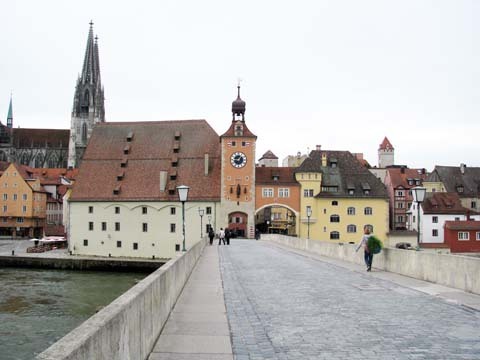 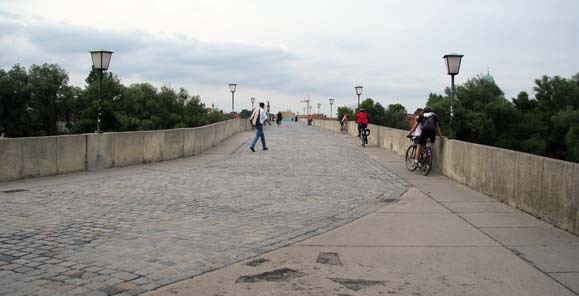 Here are some pictures of the bridge, which is across the River Danube, and of the city from the bridge. 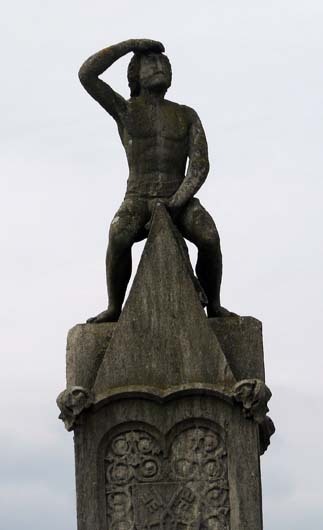 The rather painful looking Bruckmandl statue wasn't added to the bridge until the 16th century. 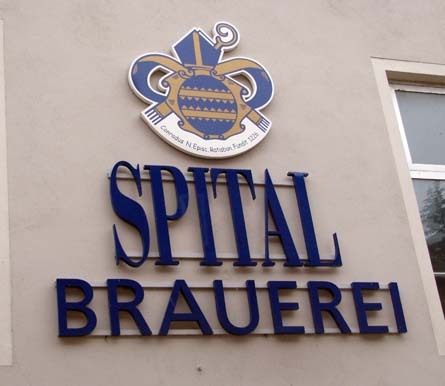 This is Brauerei Kneitinger. 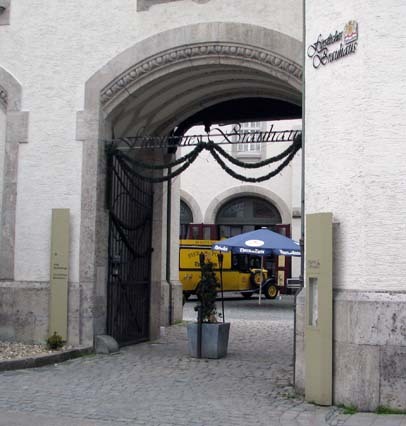 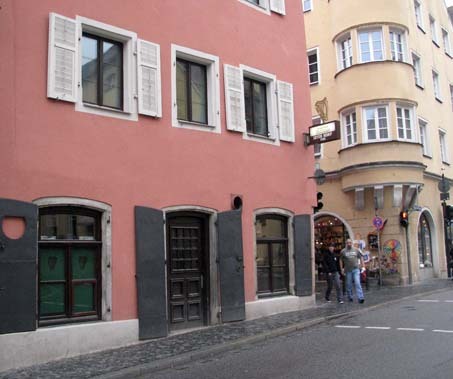 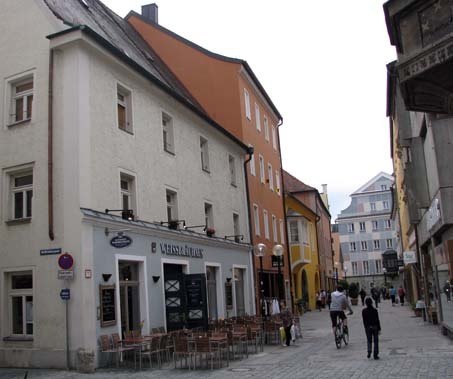 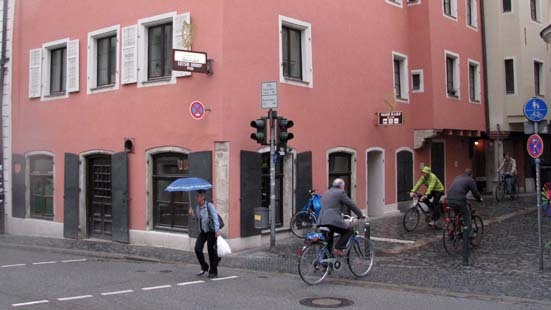 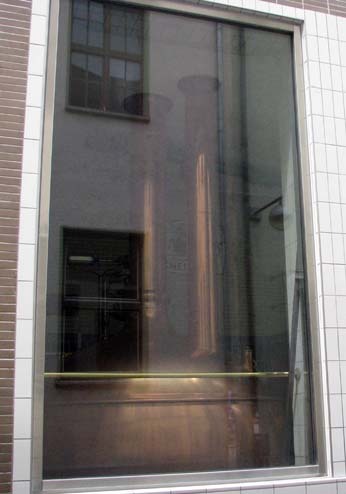 The bar looks out on to the square at Arnulfsplatz and the brewery can be seen through windows alongside on Kreuzgasse. 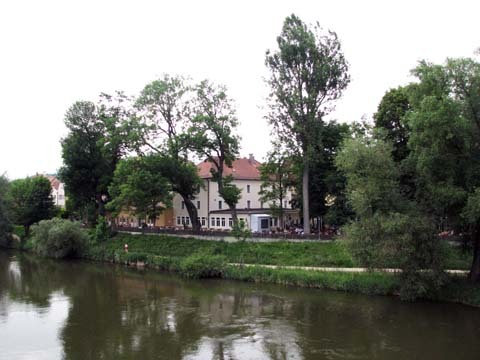 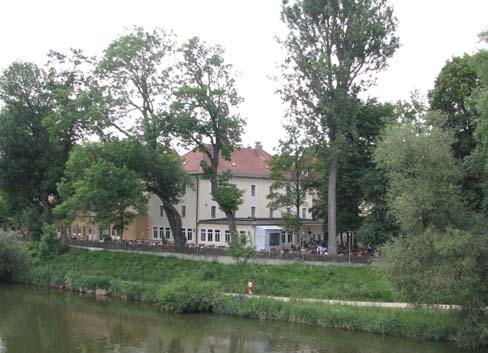 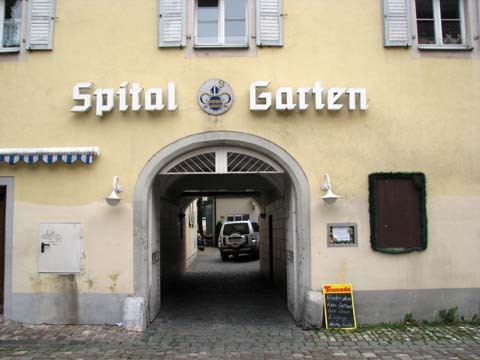 Spitalgarten is the brewery tap of the Spital Brewery and has a lovely beer garden on the banks of the Danube. 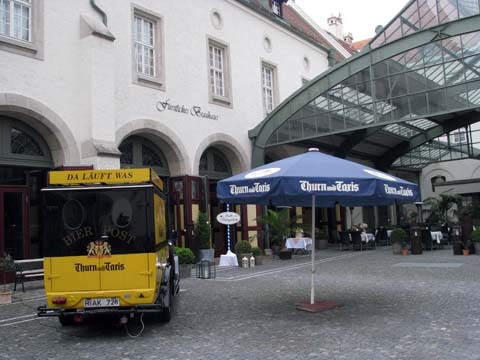 Irish Harp Pub - well, every city has an Irish bar. 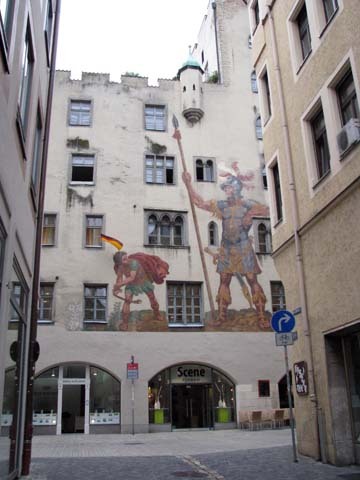 This is on Brückstraße. 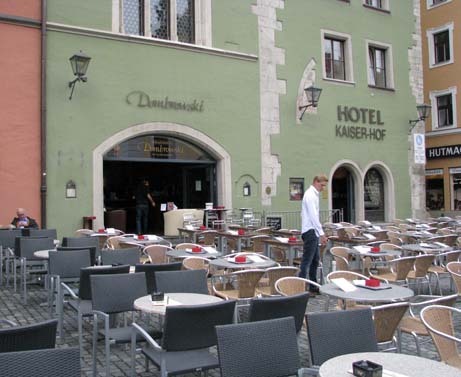 Dombrowski on Kramgrasse opposite the cathedral. 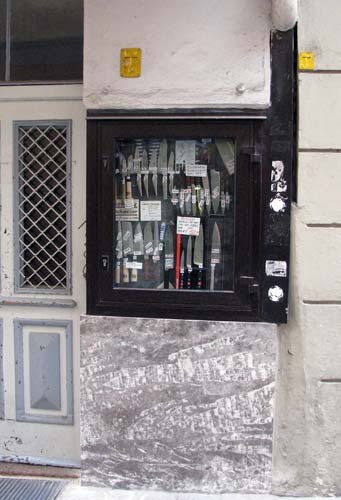 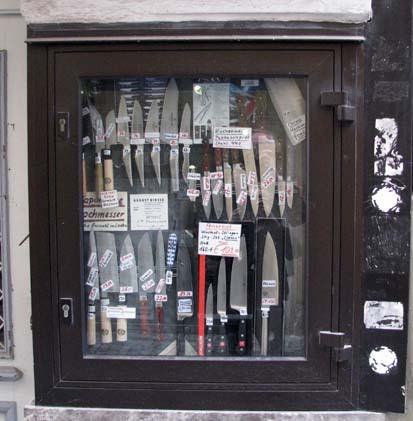 Not many cities would have a knive display like this on the street. 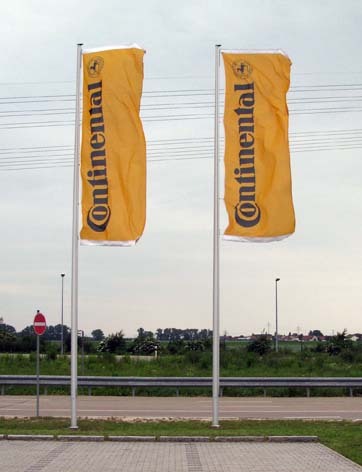 I was actually there on a Continental press trip.